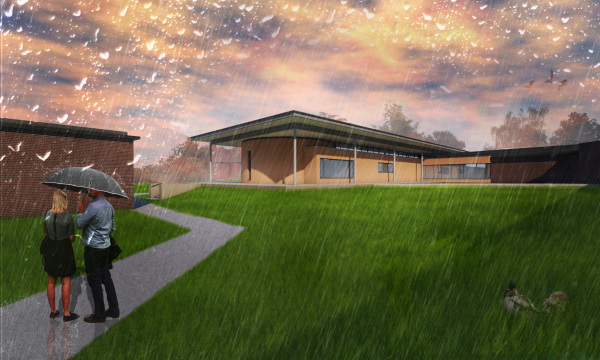 A New Modern Extension to an Existing Single Storey Teaching Block. 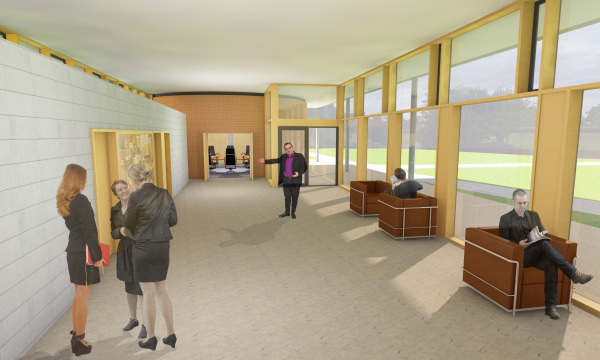 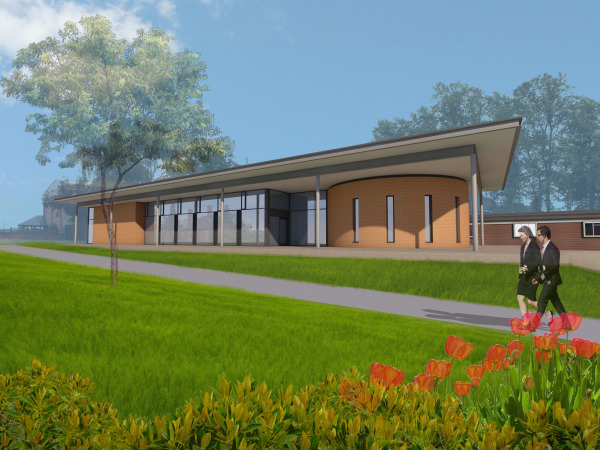 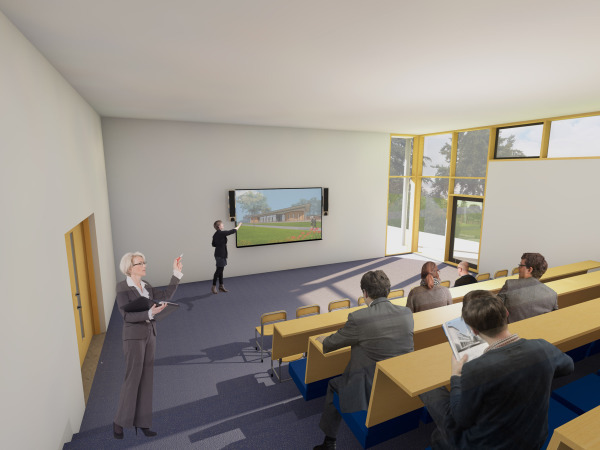 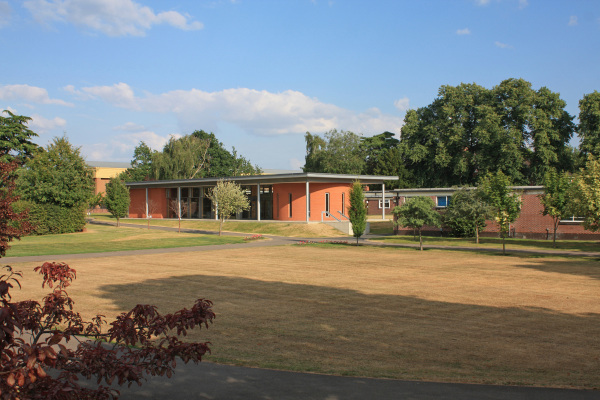 A new extension wing to an existing single storey 1950’s teaching block to provide new business school facilities including lecture theatre, boardroom and associated facilities. 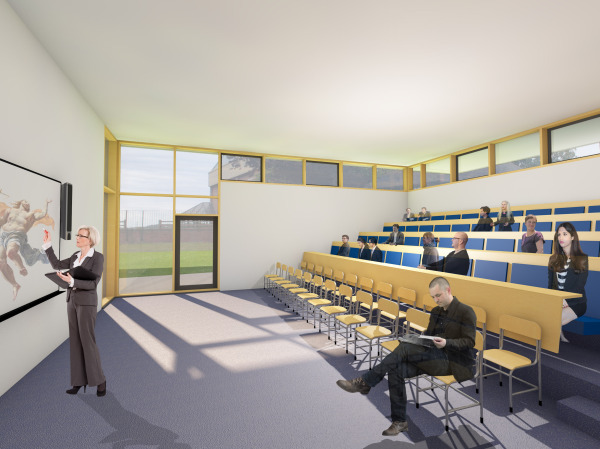 The form of the building is conceived of as series of discreet objects / rooms arranged on a raised plinth. 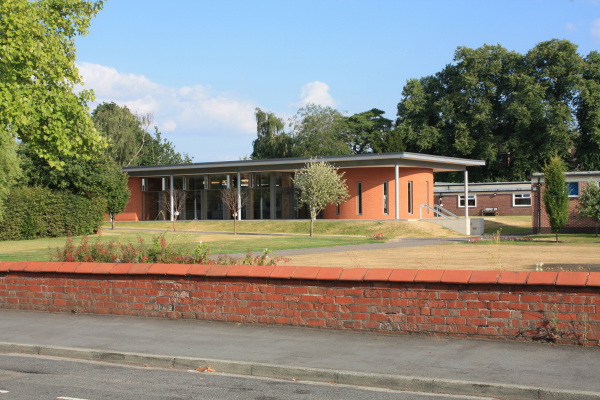 A regular roof supported by columns oversails the architectural elements below, providing a sheltered edge around the building. 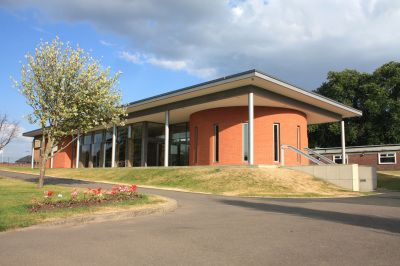 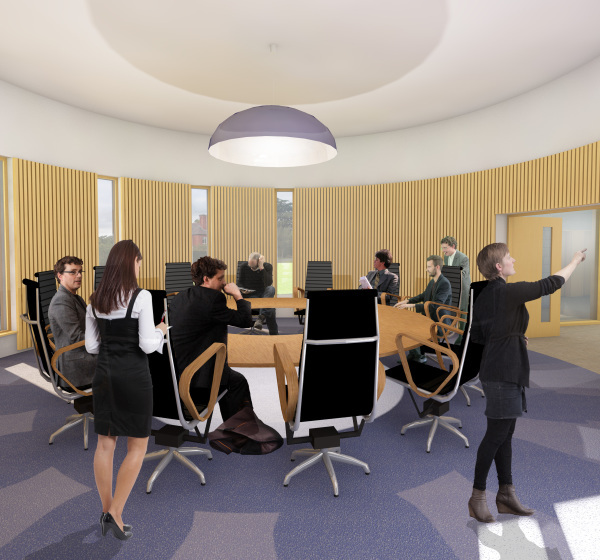 The drum form of the boardroom acts as a highly visible focal point at the centre of the college campus. 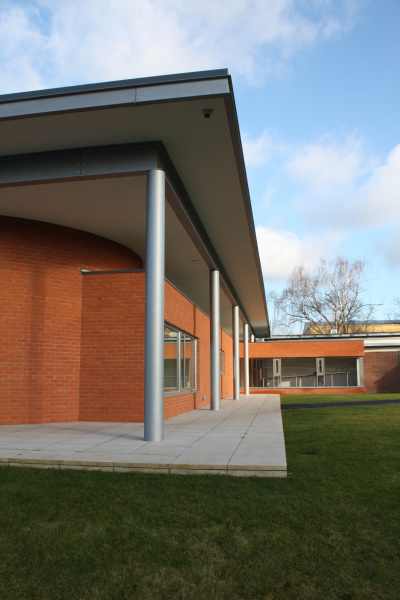 The use of red brick reflects the surrounding red brick buildings on campus with the curtain walling finished in black aluminium.